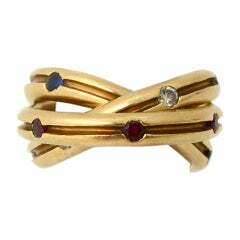 This unusual version of Cartier's Trinity Rolling Ring combines diamonds, rubies and sapphires. Each band has six stones. It is size 7.